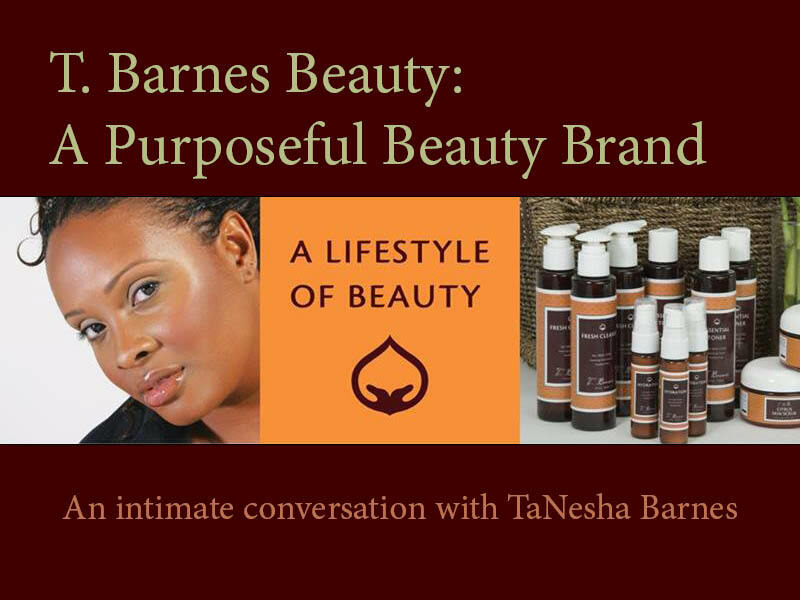 A couple of months ago, I had the privilege of interviewing Ms. TaNesha Barnes, owner of T. Barnes Beauty and Solace Spa. I generally wouldn’t hold on to an interview for a couple of months without publishing it, but there was something so compelling about our conversation, that I had to let it marinate in my spirit for a while. As you know, I love beauty, but more than that…. I love women of substance and purpose. I recently did a video haul on body care products that I purchased from Jay’s Precious Cargo, and discussed how the quality of her products are a direct reflection of her integrity in business and life. TaNesha Barnes has created a lifestyle beauty brand of products and experiences that are as rich and grounded as she is as a woman. It’s also great to know that she has built a purposeful and profitable business, without having to compromise her desire to be a stellar single parent. And that she is… wait until you hear what Solana, now 7, is doing these days. 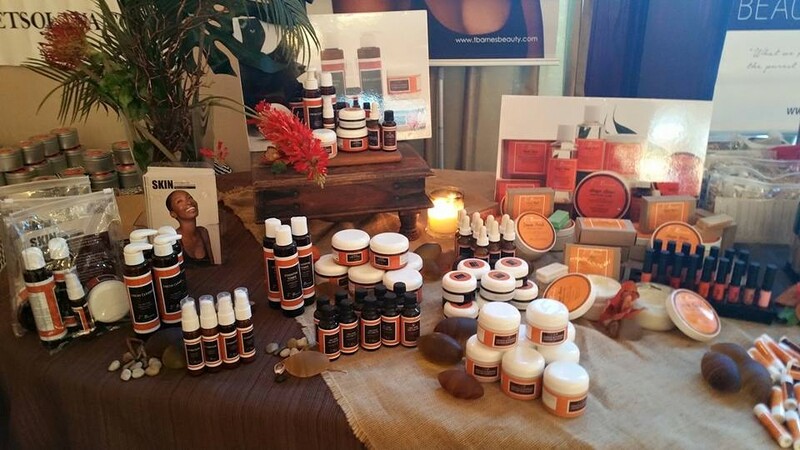 Besides the facial services she offers in the salon, TaNesha also has a complete line of beauty products, T. Barnes Beauty, that includes an organic holistic skin care line, bath and body products, natural mineral cosmetics, and even a line of tee shirts with empowering statements. Her flagship product is her basic skin care set, which took 10 years to perfect, and includes cleanser, toner, scrub, and moisturizer, all sourced from some of the purest ingredients available. 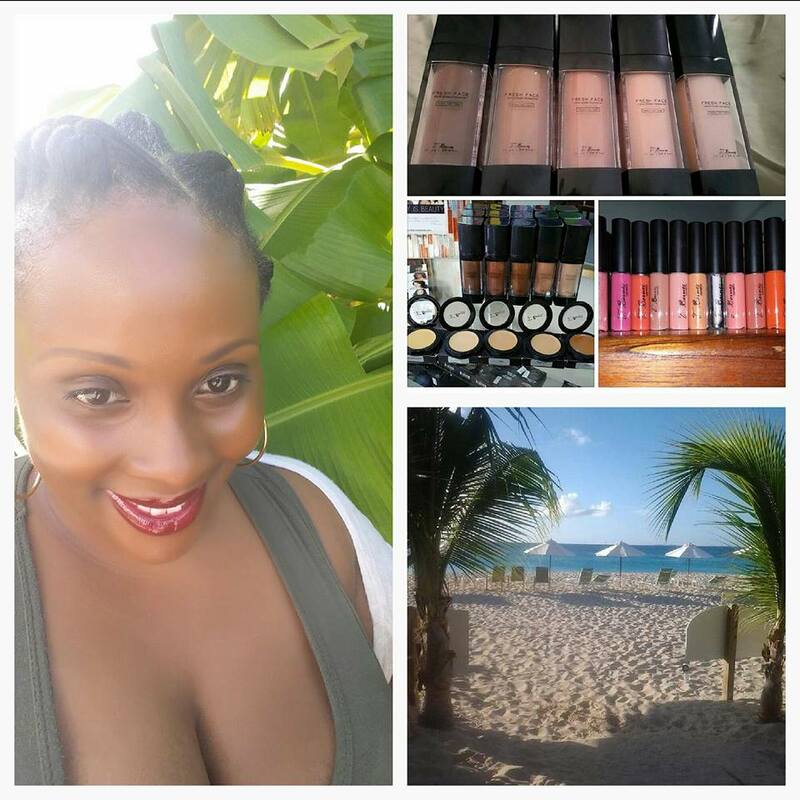 A few years ago, TaNesha opened a second location in the Caribbean, on the island of Anguilla. She also takes a yearly “Lifestyle of Beauty Retreat” wellness trip at the beginning of the year with 25 women, in exotic locations. This year the group is headed to Morocco. She really is living a dream life. One thing that I have learned from TaNesha, is that you have to be intentional about your dreams. A dream will stay a dream if you don’t put any energy behind it. You can have the life you want if you’re willing to go after it. Her realities are created by ambition, determination, and a willpower like nothing I’ve ever seen. When we were talking about the evolution of her brand, she told me how she dabbled in making everyone happy in the beginning. But over time she started to align her brand with her personal value system, and that’s when things really started clicking for her. T. Barnes brand caters to all women, but there is an emphasis on women of color. During the year, she speaks on different natural hair and other tours, teaching about skin care. She has a specific workshop called “The Foundation to your Foundation,” that teaches skin care and focuses on creating a healthy canvas under your make up. “My brand didn’t really take off until I started offering cosmetics,” she explained, “Women, especially women of color, love to cover themselves up.” As we continued talking, she clarified that she wasn’t only talking about make up, but also about how women tend to hide who they truly are, in an effort to make the world around them more comfortable. She dusted off her History and Sociology degrees, when she explained that during the days of slavery, black women were taught to hide and put away things that were an expression of who they are. And so it began… the conviction. There have been several times when I have had to stop and ask myself why I was so afraid of authentically letting people see who I am. I’m not talking about “no make up selfies” or sharing my views of life on social media. I’m talking about questioning why I fear living out loud. I’ve even gotten good at hiding behind badges of honor, such as “well, I’m a mom now” or “that’s not how a good Christian woman acts.” I’m not even talking about making excuses for crazy behavior. I just have a hard time indulging in and saying things that make people form any type of judgement of me. But as I was again challenged to look at myself, the truth became uncomfortably clear. I like to cover up to be accepted. I’m supposed to be better than that. We all are. We’re supposed to be able to be free, love free, feel free, speak free… live free! But so many of us opt for “comfortable.” This was a big reason this blog post took so long. I was listening to the strength and excitement of this woman’s life and how she just pushes through all obstacles to get where she needs to be, and I suddenly felt very inefficient. I love that! It shook me up in a major way! I’ve been connected to TaNesha briefly on social media, but I have been able to observe her very specific voice. She is very connected to helping people create their own realities. She has a loyal fan base of customers and followers, who respond to her very bold commentaries about injustice in the US and how to educate and positively influence children; and she constantly provides people global access to something different, through her many travels. Everything is thought out and purposeful. As she said before, she really does know her brand. Everything she does is a blow to conformity on all levels. 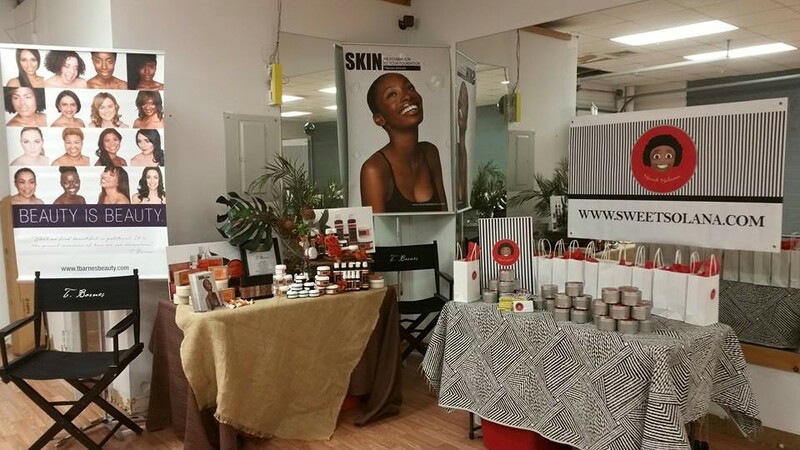 Her product line is developed and sourced with some of the highest grade ingredients available, and she formulates and manufactures them through a woman-owned business, that employs only women. She travels all over the world, connecting like-minded women together to continually support black-owned and woman-owned businesses. Nothing she does is ever driven by profit, it results in profit because it’s driven by purpose. For example, she could easily give up doing the facial services due to the way she’s diversified her income, but she continues to do it because she wants to connect with real people. “Protect your passion,” she advised. She does her “Lifestyle of Beauty” retreats, which have taken women to locations like Jamaica, New York, Morocco (2016), and Ghana (2017), she does those to try to expose women to different environments. Last year, her daughter Solana told her mother that she wanted to start her own candy business. TaNesha made her do all of the market research, pick her products, contact different manufacturers, and select her own logo design. 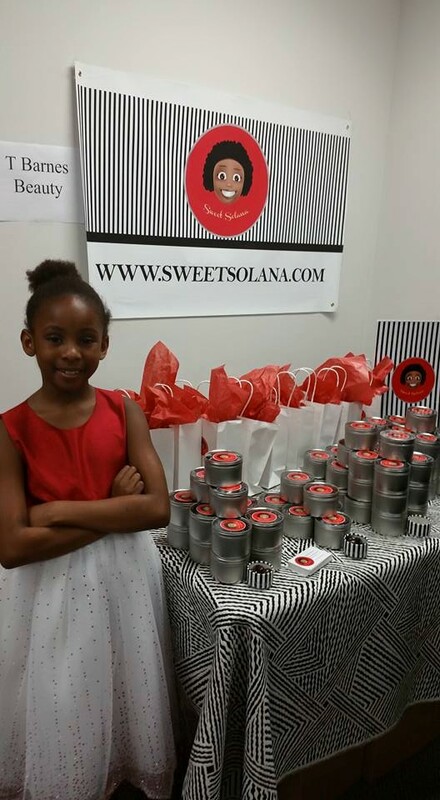 Her business, Sweet Solana, has recently started a kids team sales force that Solana has pulled together. I can’t imagine a greater learning opportunity… and Solana has indeed inherited her mother’s work ethic and spirit. Statistics would probably tell you that she shouldn’t be doing all of these things, as a single African-American mother in the US. But TaNesha is creating a global experience for both herself and her daughter, who gets to experience part of her schooling in Anguilla a few times a year. Ever since our conversation, I have such a great desire to make sure Caleb is exposed to so much more than I ever was. I remember when I got off of the phone call with TaNesha feeling very full. There are so many things that she’s doing that inspired me to want to get up and change the way I dream. She creates realities… but she creates them out of her own dreams. There are often times I’ll water down my dreams, for my reality. I’ll think about the things that I think I can achieve, instead of creating goals that are beyond me and setting my mind to making it happen. She has no excuses. The things that make me feel weary, are the things that motivate her to move on to the next level. She does not compromise or settle in her business, in her life, or in her parenting, and I respect the hell out of that. This one interview changed my perspectives on my own business ventures, changed some of my plans as a parent, and inspired me to truly express myself freely without worrying if someone is judging me for it. I’ve got my T. Barnes skin care set ordered and on its way, so look for a product review in the near future. In the meantime, don’t go to sleep on this woman or her brand. 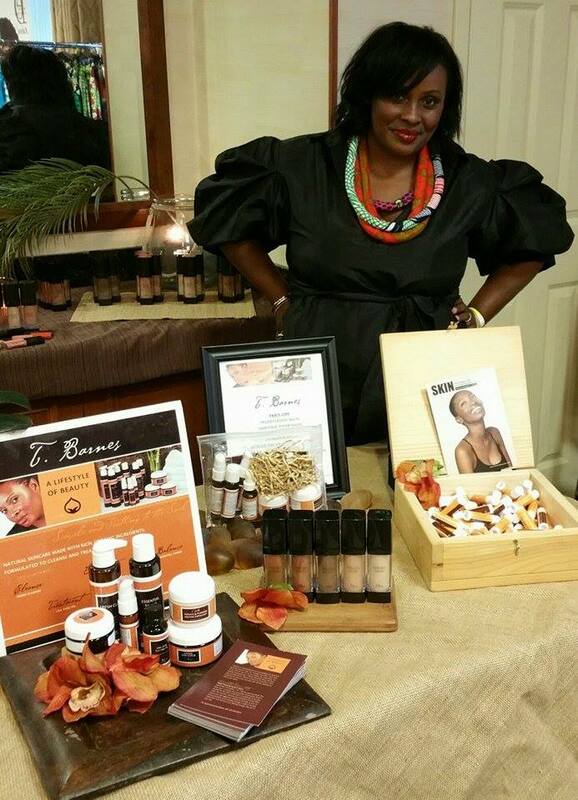 Be sure to visit her website, www.tbarnesbeauty.com to order your products and learn more about her brand. You can also check out Solana’s website at www.sweetsolana.com to indulge your sweet tooth.